The Oklahoma-based Taylor-Fowler Land Company laid out this town alongside the rails of the Gulf, Colorado and Santa Fe Railroad sometime around 1907. Brothers Frank and Fred Fowler held title to 12,000 acres here, although neither claimed naming rights. The name seems to have been a joke of sorts. The county seat of Bay City was dry, so it was thought that this town’s saloons would draw people “like a magnet.” It is also suggested that the quality of the soil would draw farmers with the same magnetism. The town was granted a post office in 1911 and the following year the town had all essential businesses, including a hotel. 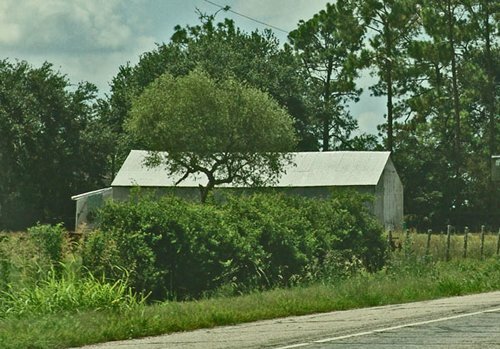 Rice was introduced and the town had a canning facility for its truck crops. 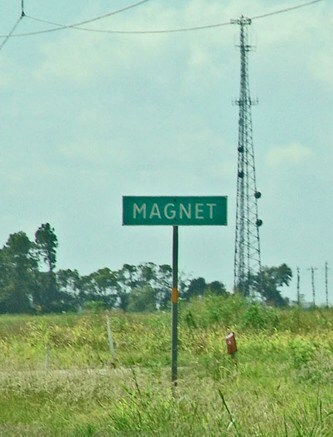 By 1914 Magnet’s population reached 40 residents. The Magnet oil field, which had been discovered some fifteen years earlier was developed in the early 1920s. In the 1930s the population declined to 50 where it remained until after WWII. After 1943 the town was reduced to only one store and the post office. In 1949 its population had dropped to only twenty. The Magnet school merged with the Wharton ISD in 1947. The post office closed its doors in the mid 1950s.